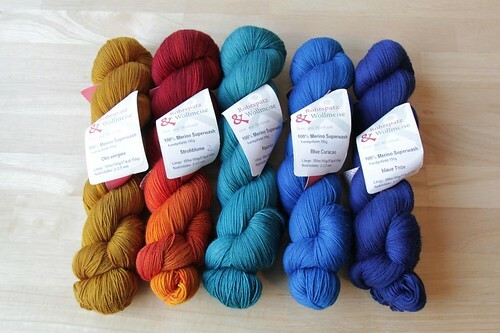 all of them are 150g, merino superwash. I’m very jealous! Beautiful shades.